THE NIKE PEGASUS 35 TURBO X – A Racer Trainer with the angles to make you faster.. The pegasus is a long standing model in the Nike range – indeed it is now in its 35th evolution. I have not particularly been a fan of this particular Nike model, however the 35th edition and in particular the Turbo X caught my attention in Copenhagen Denmark during the World Half Marathon record attempt. The immediate similarity of the cut to the sub 2 hour “fly” shoes was intriguing particularly given the high flexibility of the total length of the shoe. 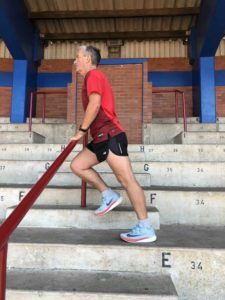 This is totally different to most Pegasus: In previous editions the flexibility has been in the forefoot only and from under the medial arch to the heel the use of a horseshoe of built up outer-sole has ensured a stability that frankly I find unnecessary in most shoes, providing the runner is in a natural running style. The Turbo X has zoom cushioning and quite a large stack height making it particularly well-cushioned. It needs to be appreciated that cushioning and drive tend to be opposing features. 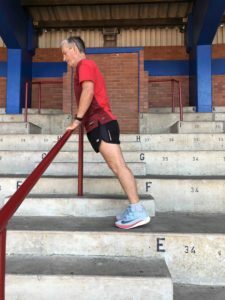 By definition cushioning is energy absorbing and hence lost to the forward propulsion whereas a low cushion tends to allow drive to be made directly through the shoe to the tar and hence add to the forward movement. importantly it is the drive backwards by the foot to the tar that moves the runner forward with greater force. Drive back to go forward! Thats key!!! 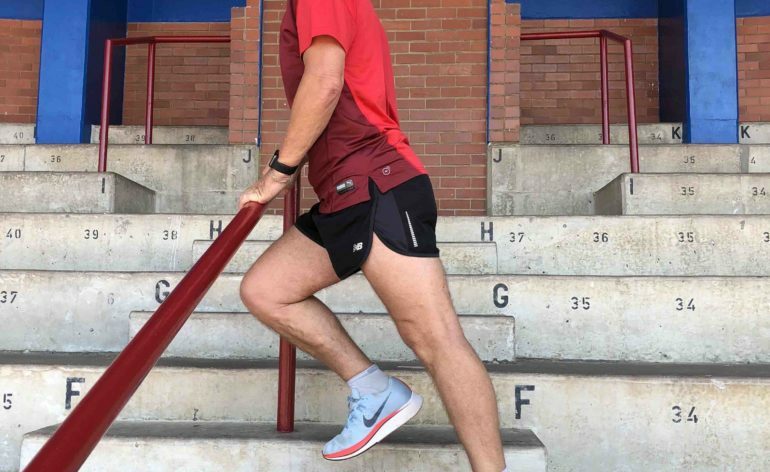 One primary benefit of the Nike Fly shoes is that it is at its most comfortable when the runner is matching that “lean angle” to the angle of the shoes, and this takes some of the stress of maintaining a core strength. Perhaps this is the major contribution towards that illusive 4% that is ‘implied and promised’ from the shoe. While the Nike Fly has the rigid forefoot preventing flex and enforcing consistent drive, the Pegasus 35 flexibility is probably a better shoe for the average runner to use in transition towards a better running style and a great intermediary shoe for those wanting to move towards the Fly in a second purchase. The low 4mm drop in the Fly is exactly the sort of figure one would want, but the stack height is quite significant primarily to be able to accommodate the “plate” located in the midsole, which Nike claim will give / maintain greater energy return. Nike carefully avoid the use of the term “spring’ as that would be illegal in terms of IAAF rules. the bottom line is this is a shoe that offers much to the dedicated and ambitious runner. and with Christmas around the corner, its one to add to that list bound for the North Pole! !